The 71st National Threshers Association Reunion was held last week at the Fulton County Fairgrounds in Wauseon. 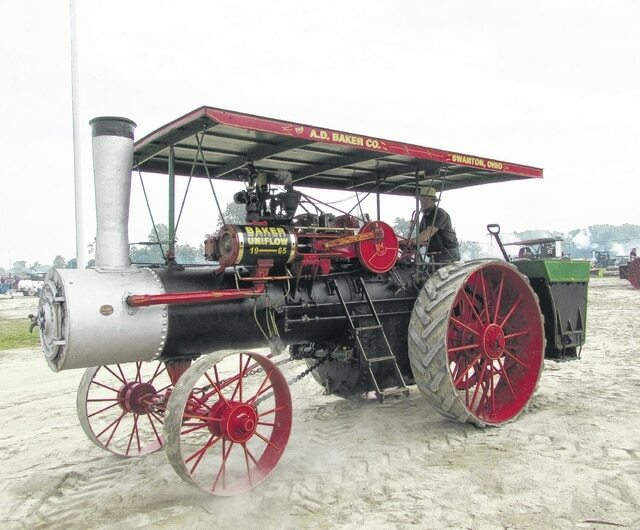 Featured at this year’s show were A.D. Baker steam engines, tractors and related equipment, which were produced in Swanton. This very colorful A. D. Baker was originally built in 1926. It was a 19-65 Uni-Flow steam machine that has 19 horsepower. Ervin Hershberger of Fredricksburg, Ohio is the current owner.